Langtang and Helambu region trekking is provide the best easy to challenging treks options for adventure trekkers. Langtang is towards the north of Katmandu and just south of the Tibetan border. 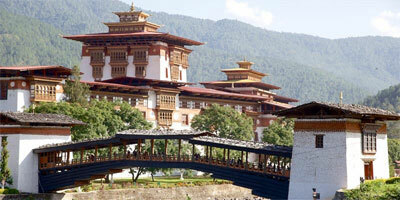 It is sandwiched between the main Himalayan range to the north and a slightly lower range of snowy peaks to the south. To the west of Langtang is Ganesh Himal with peaks between 6,000 to 7,000 meters. The name Langtang is originates from two different words ‘Lang’ and ‘Tang’. Lang means Yak and Tang means to follow. This region is full of mountains: Langtang Lirung (7246m), Gang Chhenpo (6388m), Naya Kangri (5846m) and Dorje Lakpa (6966m). 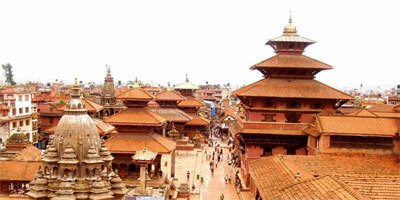 In 1971 this region was recognized as Nepal’s first Himalayan National Park and is now a protected area. Most trekking within this area falls within the boundary of Langtang National Park covering an area of, 1,710 square kilometers. This national incorporates Nuwakot, Rasuwa and Sindhupalchok districts. The chief attraction of this park is the Langtang range in the north and a number of Lakes in the south. The main ethnic groups of this region are Sherpa’s and Tamangs whose religion, culture, languages and dress are similar to that of the Tibetan people. Animals found in this region are: wild dog, red panda, pika, muntjac, musk deer, Himalayan black bear, Himalayan thar, ghoral, serow, rhesus monkey, common langur, snow leopard. Birds found here include hawks, hoopoe, cuckoos, barbets, owls, and night jars, laughing thrushes, black-capped sibias, red-billed, minvet and parakeets. The flora includes sky blue gentians, epiphytic orchids and primroses. This region haves temperate sub- alpine vegetations. Langtang Trekking: It is a popular trekking destination which will fire up the imagination of everyone. This area is full of scenic villages inhabited by Sherpa and Tamang people. Its diverse environment offers high altitude jungles, varied vegetation, an abundance of wild life, scenic glaciers, frozen lakes and Himalayan peaks, making it a very attractive destination for visitors. Gosainkunda Trekking: Gosainkunda Lake, one of the most famous pilgrimage destinations of Hindus and Buddhist. The lake is situated at an altitude of about 4,360m and is surrounded by mountains. Thousands of Hindu pilgrims visit here during the full moon festival in August. 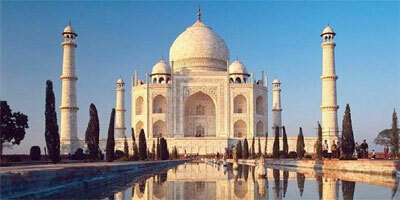 Other famous Lakes adjoining it are: Saraswoti, Bhairav, Sourya, Ganesh Kunda etc. Helambu Trekking: situated about 72 km north east of Katmandu is one of closest treks to Katmandu. It offers an easy loop through villages of varied ethnic groups. This place is famous for its scenic grandeur. 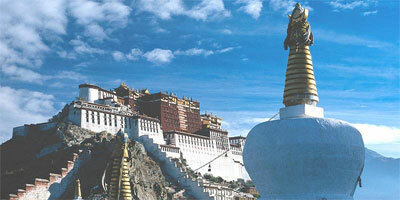 There are many Buddhist monasteries. The chief highlights of this area are Tarkegyang and Shermathang both beautiful villages. Ganja La Pass Trekking: Ganjala one of the steeper and more picturesque passes in Nepal. 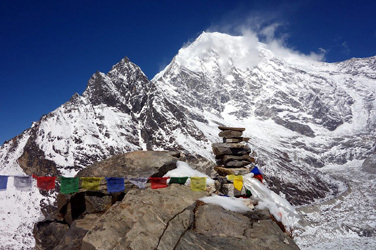 This trek offers views of Langtang Lirung, Shisha Pangma, and Naya Kangri. The route goes from Kyanjin Gompa in Langtang to Tarke Gyang in Helambu crossing 5106 meters before reaching Ganjala.